Echodyne has been tapped to demonstrate its MESA radar as part of a pilot unmanned aerial system testing program at the Northern Plains UAS Test Site in North Dakota. The company said Thursday it will participate in the next stage of the DOT/FAA UAS Pilot Program’s testing phase to showcase its UAS traffic management system designed to locate manned aircraft and commercial drones. The MESA radars will focus on beyond visual line of sight testing as well as other related assessment activities. 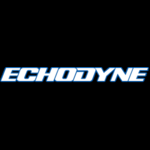 Chris Theisen, director of research and development at NPUASTS, said Echodyne has extensive UAS experience and that the site is looking forward to working with the company on a variety of tests to help establish safety foundations for commercial UAS. The NPUASTS testing program will cover advanced airspace, sensor technology and drones used for higher altitude flights, night operations, daisy-chained visual operations and BVLOS flights. The Northern Plains UAS partnership includes firms such as Harris, Simulyze and uAvionix, as well as the University of North Dakota.